Two U of S children's summer camps have received Green Seals of Approval for their environmental accomplishments this year. 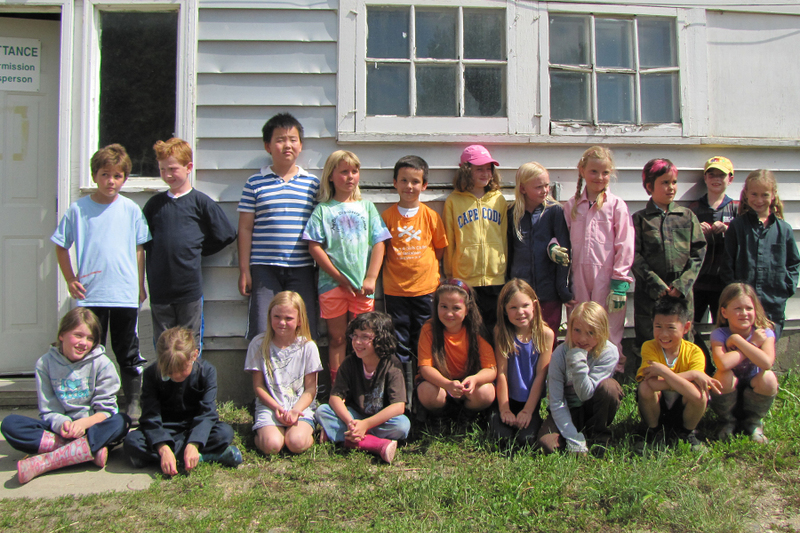 Two children's summer camps at the U of S -- the AgBio Discovery Camp and the Children's Activity Camp -- have received Green Seals of Approval for their sustainability efforts this year. As the summer comes to a close, two U of S summer camps are being acknowledged for their environmental efforts with the Office of Sustainability's Green Seal of Approval. The AgBio Discovery Camp and the Children's Activity Camp have respectively earned silver and bronze Green Seals of Approval for their work over the course of the summer. The Office of Sustainability's Green Seal program recognizes summer camps at the U of S that go above and beyond their duties to incorporate sustainability content and practices into their actions. Camps get points for initiatives or activities they incorporate and receive Gold, Silver, or Bronze recognition based on their overall points. The Children's Activity Camp, recipient of a Bronze Green Seal of Approval, made a point of putting waste reduction at the forefront of their activities this summer. A paper-free registration, a waste-free lunch policy, and several other recycling and waste diversion efforts helped to set them apart on campus this summer. The camp was also able to incorporate many small sustainable beahvioural changes, such as putting a focus on active transportation for all of their activities, which allowed campers to make a link between the sustainable efforts they took in the camp and their own home lives. Participants in the AgBio Discovery Camp meet a variety of livestock during their time on campus. The AgBio Discovery Camp was able to go a step further and earn a Silver Green Seal of Approval through their incorporation of pre-schedule sustainability-related outings. Tours of the Prairie Aquaculture Research Centre, the newly constructed agriculture rooftop garden, and the edible garden alongside multiple pollinator exercises helped provide children with a wide range of hands-on sustainability experiences. The camp's leaders said that sustainability was at the heart of all the camp's activities beginning at the planning phase. Congratulations to both of these camps for achieving their Green Seals of Approval! Both campers and camp leads earned their recognition through a summer's worth of stellar green behaviours. If you know of a summer camp at the U of S that would be interested in pursuing their own Green Seal, please contact our office intern Natasha Levesque; it's never too late to discuss your own sustainability efforts and begin planning for next summer. Article re-posted on Jan 18, 2019 4:24:48 PM .